Umina beach Dentist would like to welcome you and your child to our Childrens Dentist dental office. 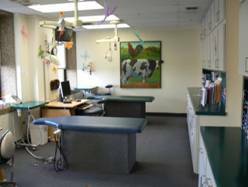 We are a state of the art practice that specialises in the care of infants, children, adolescents, and patients with special needs. 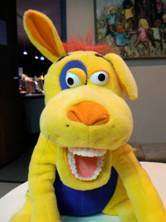 We specialise in working with children with cleft palate. Our team are dedicated to the oral health of children. Our Childrens Dentist team is focused on family-oriented dental care and we encourage parents to play an active role in their child's oral health. Parents are welcome to accompany their child during treatment. 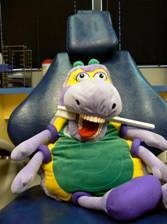 Please discuss the positive aspects of dentistry with your child. Convey good feelings to your child about dental visits being a part of growing up. You can explain that the doctor will look at and count all their teeth. Please do not tell your child that the dentist will not hurt, as the idea of being hurt may have never entered your child's mind. You can explain that the doctor will be nice and gentle as they count your teeth. Also, please do not use the words needle, shot, drill, pull, or any words suggesting unpleasantness. 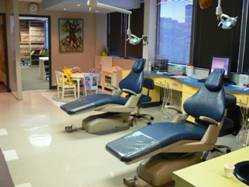 Our goal is to perform the dental treatment in the easiest way possible for your child. Our office staff will review the health history form with you at the first visit. 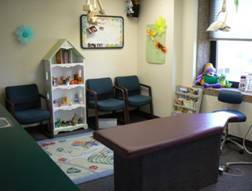 At that time, you and your child will be introduced to our dental team. Parents are welcome to accompany their child into the treatment area during the initial examination. This gives you the opportunity to see our staff in action and allows the dentist to discuss dental findings and treatment needs directly with you. We do ask that if you accompany your child you assume the role of a silent observer. Your presence is greatly enhanced if you play a passive role. If more than one person is speaking to the child they may become confused. Cooperation and trust must be established directly between us and your child and not through you. We also ask that siblings remain in the reception room. We will perform a head and neck examination and evaluate the teeth and gums. Radiographs (x-rays) are taken only as we feel they are indicated. If no treatment is needed, the teeth will be cleaned and fluoride applied. Additional services will be scheduled for a later visit. If you have been referred for treatment, our office will do an initial exam prior to treatment in order to thoroughly discuss treatment options and obtain any additional information to better treat your child. We do request that payment be made at the time of service. We care because a child's smile is priceless. 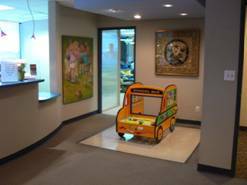 We would like to welcome you and your child to our paediatric dental office. We specialize with patients who have special needs, including cleft lip and palate, Down’s syndrome, epidermolysis bullosa and prader willi. We also provide general anaesthesia services at The Children’s Hospital. Many of our families utilize combination procedures with our medical colleagues, so that their child’s dental treatment can be completed at the same time as other necessary medical treatment, such as ear tubes, tonsillectomy, or eye procedures. In efforts to provide a comprehensive medical/dental team, our doctors strive to communicate with our patient’s paediatricians, cardiologists and other specialty physicians throughout their preventive care plans. Childrens Dentist is currently providing moulding plates, which aid our cleft lip and palate patients in placing parts of the palate in good alignment. This helps the surgeon to perform the lip and gum surgery at the same time and improve the shape of the nose.